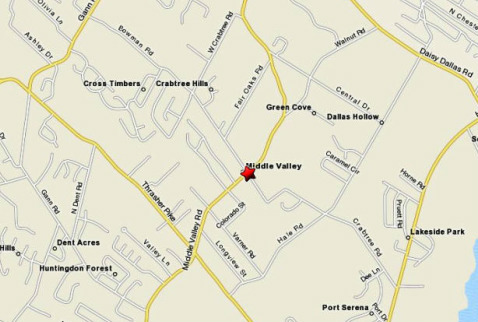 MVBC is located at 7901 Middle Valley Road where it intersects with Crabtree Road in Hixson, TN. The Campus of Middle Valley is comprised of three buildings. The Ministry Center (or Commons), where most activity takes place, is located behind the parking area that is marked by the illuminated church sign. The Chapel and Sunday Schools rooms are located in the middle and the church offices and fellowship hall are located in the building at the far end of the campus.